We analysed a 25-year time series of fishery catch and effort data, and age/size information for four large-bodied, native fish species to investigate the hypotheses that under conditions of reduced freshwater inflows and high fishing pressure: (1) the structure of fish assemblages in the lower Murray River system have changed, (2) species diversity of fishes has declined and (3) population age structures of large-bodied, late-maturing, native fish (Macquaria ambigua, Argyrosomus japonicus, Rhombosolea tapirina and Acanthopagrus butcheri) have been reduced. Annual catches and effort in the lower Murray River system were stable for 25 years, but proportional contribution to the total catch from each of freshwater, estuarine and adjacent marine habitats, and the species within them varied. Fish assemblages generally differed between subsequent 5-year periods, with the exception of 1989–1993 when floods occurred in 4 out of 5 years, and the following 5-year period (1994–1998). Species richness declined steeply over 25 years in freshwater and estuarine habitat and species diversity (Hill’s H 2) also declined after 2001 in estuarine habitat. Species with rapid growth and early maturation (opportunistic strategists), increasingly dominated catches, whilst species with slow growth and late maturation (periodic strategists) declined. Truncated population age structures suggested longevity overfishing of three periodic strategist species: golden perch (M. ambigua), black bream (A. butcheri), mulloway (A. japonicus) and a fourth species with an intermediate strategy, greenback flounder (R. tapirina). This has implications for management because loss of older/larger individuals suggests reduced capacity to withstand or recover from deteriorated environmental conditions associated with a historically extreme drought in the lower Murray River system. Management of these species should seek to preserve the remnant population age structures and then to rebuild age structures by allowing recruits to become established in the adult population. 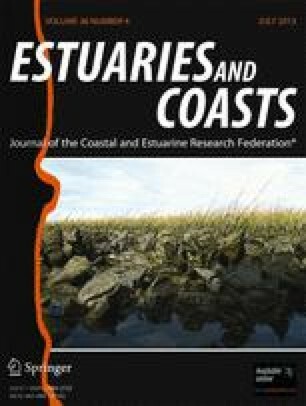 We recommend that assessment of multi-species fisheries in changeable environments, such as occur in estuaries and other end-river environments, requires a suite of indicators that address changes in fish assemblages and populations. Funds and resources for this study were provided by Primary Industries and Regions South Australia (Aquaculture and Fisheries), the South Australian Research and Development Institute (Aquatic Sciences, SARDI) and the University of Adelaide. SARDI provided fisheries statistics and library services. Commercial and recreational fishers provided access to samples from catches and the Adelaide Fish Market provided bench space. Hydrological information was provided by Joseph Davies (Murray Darling Basin Commission). Helpful comments on the manuscript were provided by Paul Rogers, Tony Fowler, Michael Steer and Milena Fernandes.